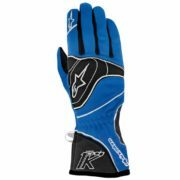 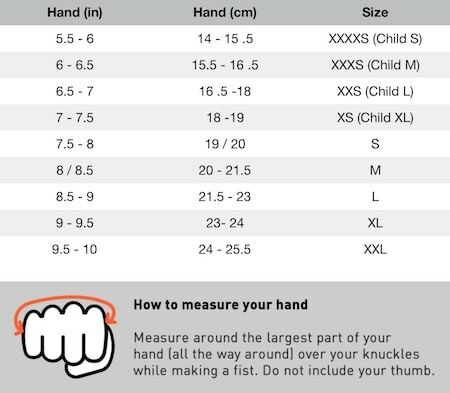 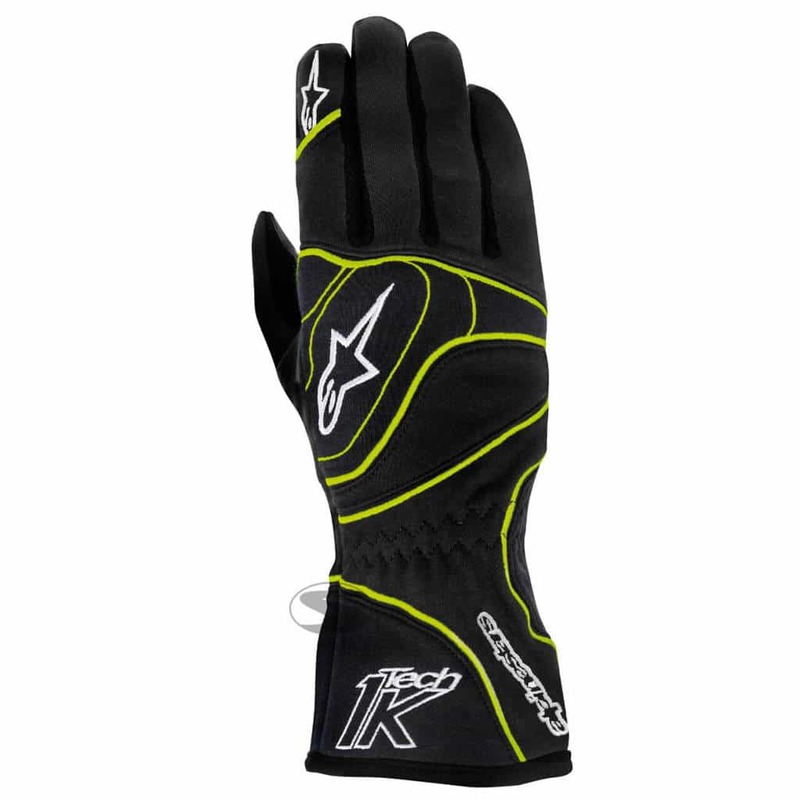 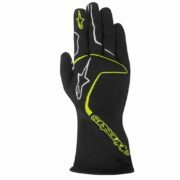 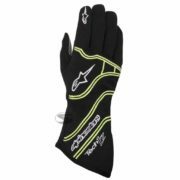 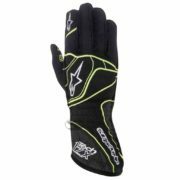 The Alpinestars Tech 1-K kart gloves feature a two-layer construction made from an elastic polycotton. In addition there’s an anti-bacterial synthetic suede palm that offers the karter maximum grip on the steering wheel, even in wet conditions. 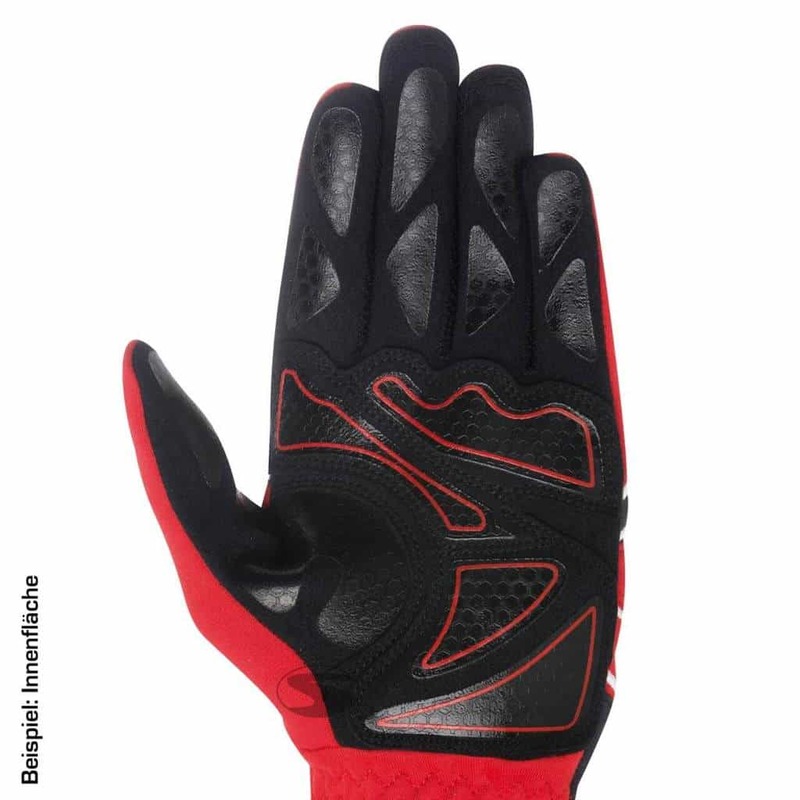 To increase comfort, the fingers have been pre-curved and there is padded knuckle protection. The glove is secured via a Velcro wrist strap, meaning maximum control for the driver.